Take your choice, whichever you choose you are getting the best. 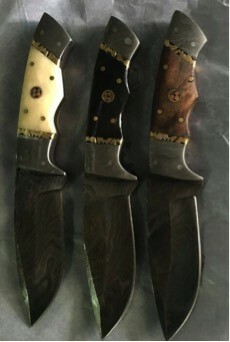 Strong and sharp handmade Damascus steel blade. Select either bone, horn or walnut pinned handle. Damascus parts and brass spacers gives a nice finish. Send an email to specify choice of handle material.